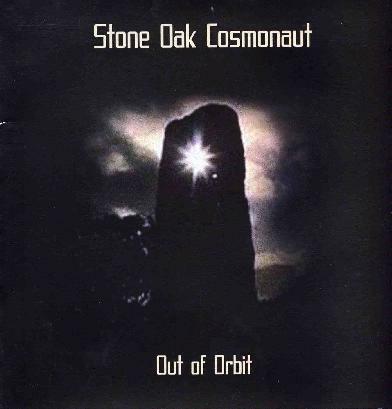 Stone Oak Cosmonaut are a new Dutch band from Utrecht. These guys play what I would call Space metal. Anyone remember the old Cleveland band, Space Core with ex-Destructor members? This is a bit like that material but with a singer who sounds a lot like Wino (Spirit Caravan, St. Vitus, Hidden Hand). Most of the tracks are pretty long with only 3 out of 9 under 6 minutes. The opening track is the shortest at 4:41 and gives you a taster for the heavy riff rock that this band lays down. This track sounds a lot like Spirit Caravan with some more spacey sounds mixed in. A Circle Run starts off quite spacey with some nice synths sounds and bass before the monster guitar kicks in about half way through it gets spacey again. Great track. Away in the Laika begins with a synth drone but quickly the fast and heavy guitar riff kicks in. This is a bit more stoner rock like and again will really remind you of Hidden Hand and Spirit Caravan. It gets quite psychedelic at the end. A Light in the Dark starts off slow and spacey but then at about 4 minutes a killer transition kicks in and the track gets really heavy and the track takes off. Great stuff. The Gift of the Eyeless Merchant has one of the heavier riffs on the records and just rocks, not that spacey! Next up is the Our of Orbit two piece suite that lasts 25 minutes and is the highlight of the CD. It begins with some electronics like early Hawkwind stuff before taking off. Very melodic and spacey to start and some great bass playing at around 3 minutes starts to drive the track out into new territory and then the guitar. The track really builds up into a great Space-Stoner rocker track. The second part begins with a guitar solo and then some samples including Apollo 17 stuff and some spacey synths as well. The last half is a really great trip and some heavy guitar parts as well. Reborn Again starts with a fast bass line before the more rock and roll guitar kicks in. This track is more of a basic rock song to start but again you will be reminded of Wino and the vocals are a bit more psychedelic. The CD ends with Oh Yeah, which has one of the heavier meaner riffs on the record. The band wanted to rock out at the end. Great debut CD. I really look forward to hearing the next one.